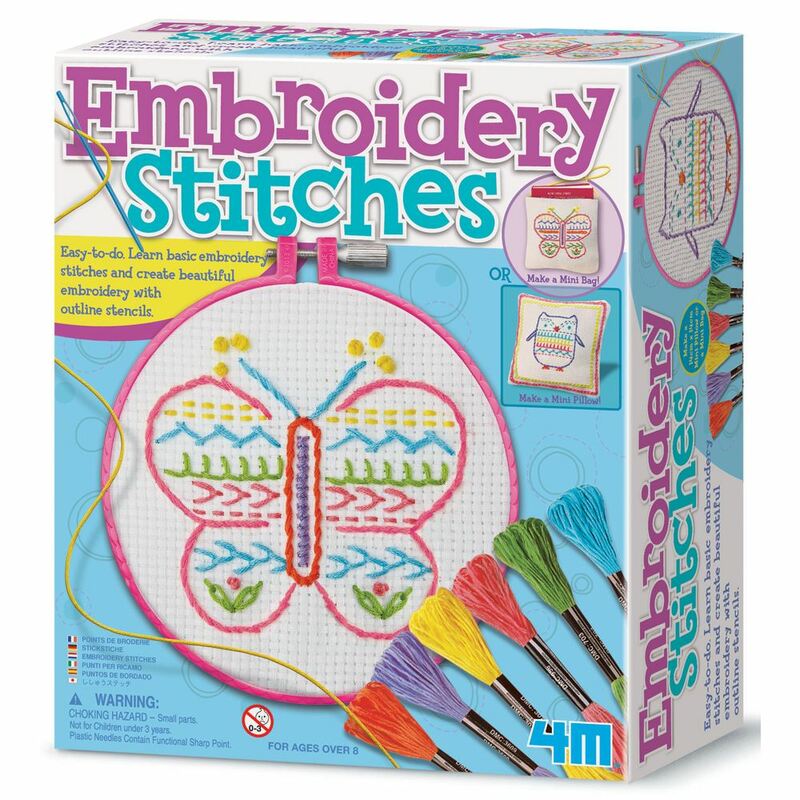 Learn basic embroidery stitches with 4M, creating beautiful embroidery with outline stencils. Makes a 140 x 140mm mini pillow or a mini bag. Includes: embroidery hoop, 6 spools of coloured embroidery floss, 3 sheets of embroidery canvas, 2 outline templates, 2 plastic needles, pillow stuffing and detailed instructions. Age 9+ years. Distributed in New Zealand by Holdson.